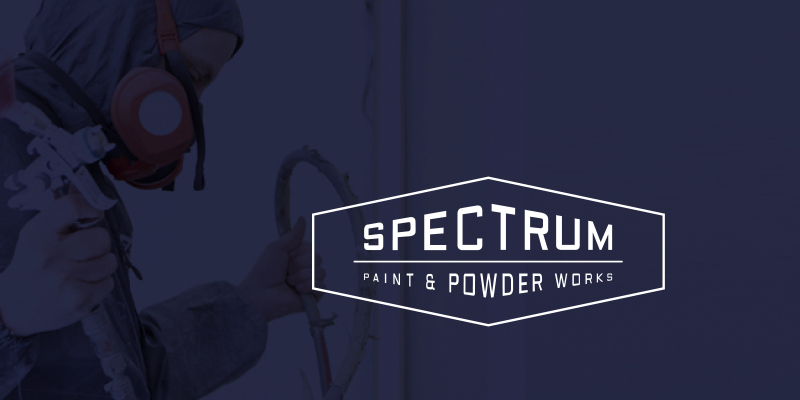 We partnered with Fry to rebrand Spectrum Paint & Powder Works, to breathe fresh life into an established institution. Knowing the industrial space we were heading into, we wanted a mark that could stand on its own. We developed a brand system that allowed the redesigned brand to deploy fluidly and consistently. This logo HAD to work in noisy and purposeful settings. As well as softer ones. The mark itself had some structure that lent itself well to be applied in specific ways. The hexagon format of the logo and its many approved color applications ( ideal for a business that does paint) proved to be very utility. Not only does it forma great pattern it also became the format for paint swatches to be shared with customers, here we see the logos debut at Interbike.